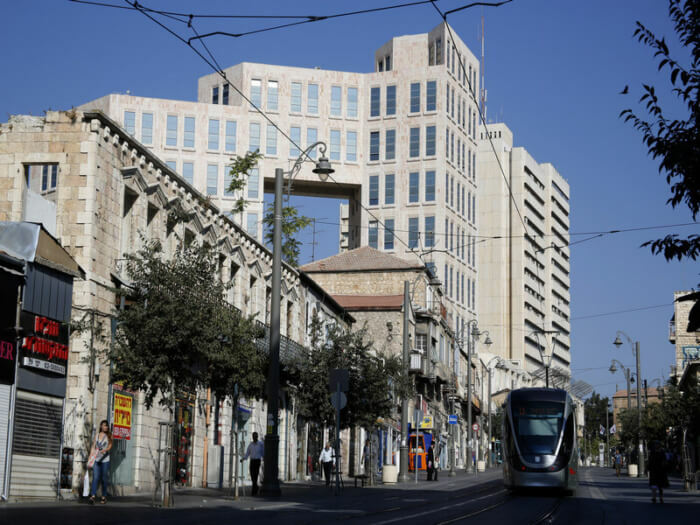 The Street of the Prophets (HaNevi’im Street) in West Jerusalem wends its way from the ancient walls of the Old City to the fragrant alleyways of the open-air market, running parallel to the city’s main east-west artery. It is on this picturesque lane, just one block north of the downtown pedestrian mall and light rail line, that the Brown hotel chain has repurposed a distinctive 19th-century Ottoman mansion into Villa Brown, a boutique property that evokes the splendor of a bygone era. 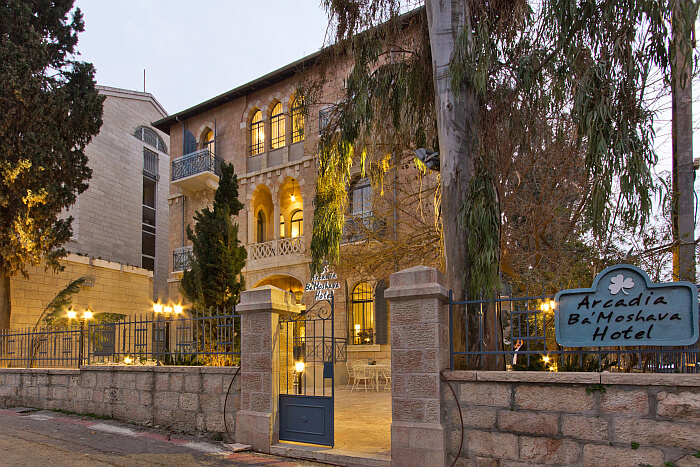 Villa Brown is the first Jerusalem property of Brown Hotels, a chain comprising six boutique hotels in Israel, four of which are in Tel Aviv. Since its inauguration in 2017, Villa Brown has been joined by a sister property in the capital, formerly the Arcadia Hotel, reviewed on these pages in 2016. Additionally, there is the Brown Beach House in Croatia, which was ranked by Conde Nast as one of the best new hotels in the world in 2017. Villa Brown’s impressive ground-floor corridor leading to the reception desk is lined with plush settees and adorned in majestic hues of red, emerald and mauve. Off the hallway are also a lending library and screening room for the hotel’s movie nights. The centerpiece of all guest rooms is an eminently comfortable king-sized bed, boasting fine linens of Egyptian cotton. On the wall opposite the bed hangs a giant plasma smart IPTV televising satellite channels in multiple languages and offering pay-per-view movies. Free WiFi, boosted by routers on each floor, extends to all rooms and public areas. All rooms also come with minibars and personal safes, and many (though not all) have workspaces with desks. Moreover, there may be minimal hanging space for clothes — provided by a simple, exposed bar — or open shelves rather than drawers. 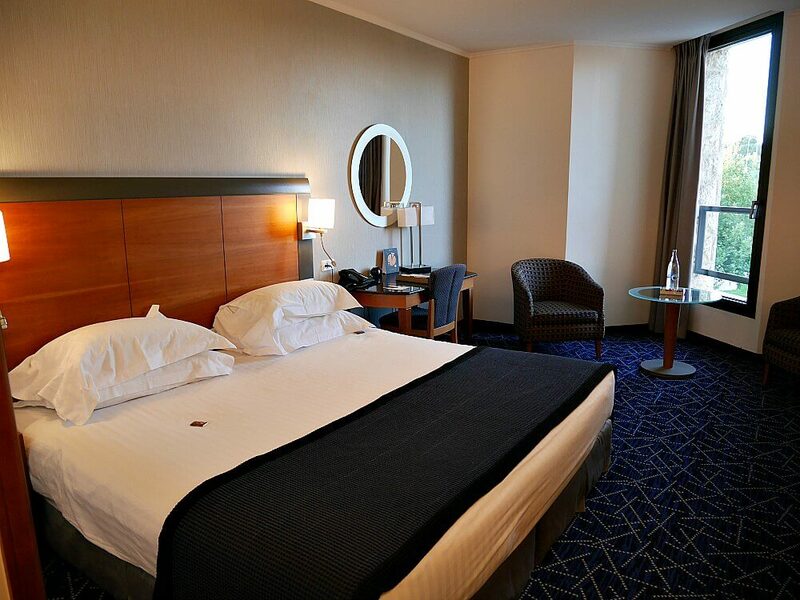 A complimentary bottle of mineral water with light snack is standard; a handful of rooms have espresso machines. 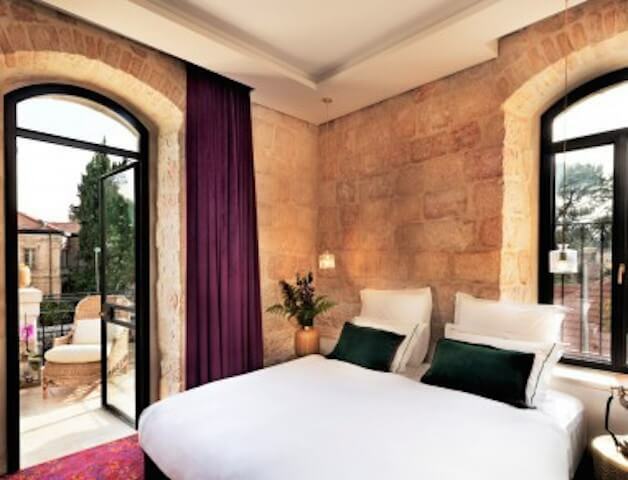 The bathrooms contain spacious shower stalls with rainfall showerheads, soft towels of Egyptian cotton, bathrobes and slippers, Molton Brown amenities and a hairdryer. The few larger rooms have bathtubs as well. 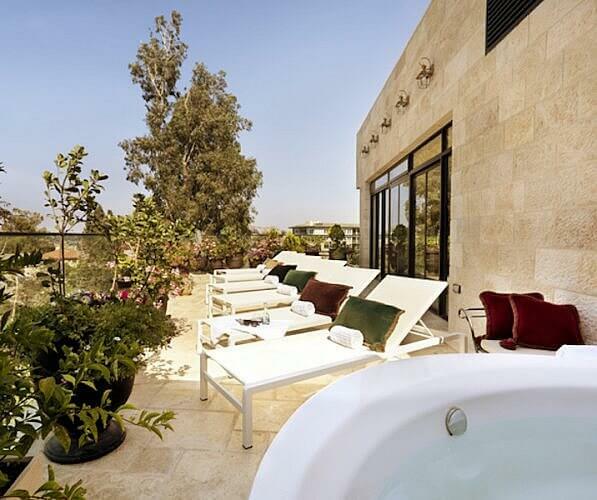 Villa Brown’s sunny rooftop is home to the hotel’s whirlpool bath, as well as a row of chaises longues. It is also the location of the hotel’s spa, where massages and treatments may be booked with 10 hours’ notice. There is no on-site fitness or exercise room, but there is an arrangement whereby guests have access to a nearby gym. 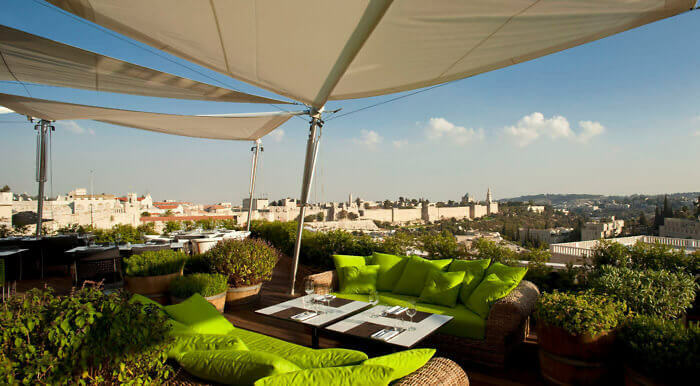 Israeli hotels are famous for their breakfast buffets, but Villa Brown’s approach to the morning meal is quite different. 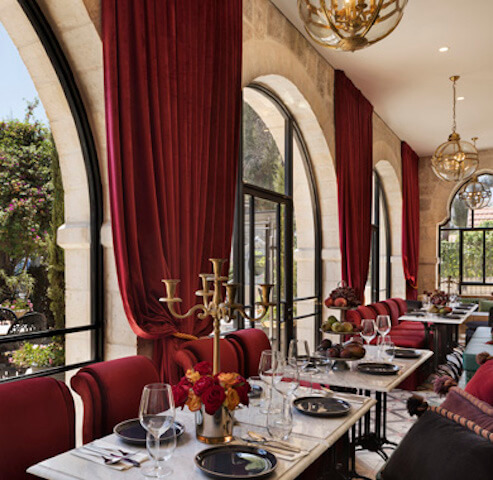 The hotel has recruited celebrity chef Meir Adoni to create small plates of spreads and salads, plus five à la carte options of breakfast dishes, which are served with a basket of freshly baked breads and sweet rolls. The hotel’s cozy dining area also serves a British-style afternoon high tea, which, according to the front desk, should be booked 24 hours in advance. 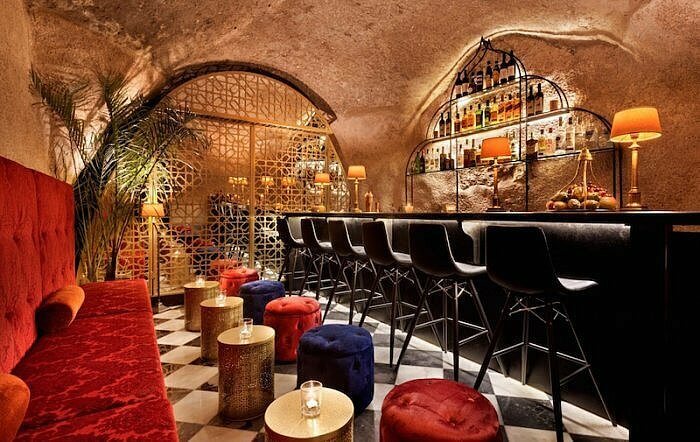 Later in the evenings, wine, cocktails and food are served in the singularly atmospheric Cave Bar, located in what was once an underground cistern. There are three reasons why Villa Brown guests have no need for a rental car: the hotel is in walking distance to many sightseeing destinations in both the old and new cities; it is convenient to public transportation; and bicycles are provided free of charge. For those who do have a car, however, there is a special hotel rate at a public parking lot a quarter-mile away. Published rates: $240-$430 (including breakfast). Compare rates on Travelocity or Expedia. Text by Buzzy Gordon, who was a guest of Villa Brown for purposes of review. Photos courtesy of Villa Brown.